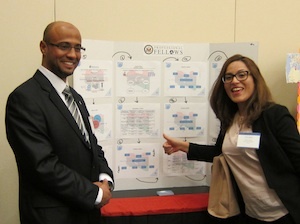 Time has flown since the Legislative Fellows Program-North Africa delegates left the United States in November. Since their return to Libya, Tunisia and Egypt, they have had a chance to reflect on their experience in the US, the value of their fellowships, and the lessons they will be taking home with them. Here they share some of their reflections. Legacy’s Legislative Fellows Program is one part of the “Professional Fellows Program,” which is sponsored by the Department of State’s Bureau of Educational and Cultural Affairs through a series of grants to non-profit organizations and universities. The fellowship experience was valuable for many because of the nuances and insights it brought to fellows’ ideas about democracy and governance as practiced in the US. Their conclusions and new ideas differ greatly from one another, and shed light on the diversity of experience that participants have in the United States. Read more about the LFP Fellows reflections in the LFP Blog .